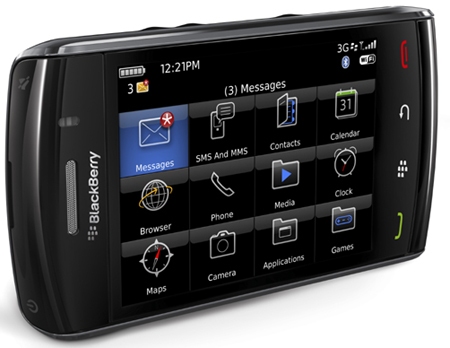 Have You Had Your BlackBerry Storm 2 Swapped For A New One? We've been waiting to see exactly how this one turned out for everyone. But as most of you know the past few days for Verizon Storm 2 owners have been rather interesting. BerryScoop got tipped the news about the possibility of Verizon being reissued Storm 2 devices due to a screen issue. Now while the screen issues seemed to be nowhere near as bad as what they were on the original BlackBerry Storm it did exist for some users. As indicated in the Verizon information, devices were being returned mostly with the lower left hand side of the screen either not working correctly or not working at all. This caused some high return rates for many users out there. Noticing the problem and working with Research In Motion, Verizon was directed to return all current stock and was reissued a new batch of devices to replace the ones returned. Any customers experiencing issues with their current devices were also targeted through Verizons customer care in the fact if you had an affected device and called you could get a replacement for the improperly working one. The replacement coming in the way of a "Certified Like-New Replacement" or better known as refurbished. So how many of you out there actually had your BlackBerry Storm 2's replaced? Most people I ask state they never had any issues with their release device so I'm guessing the issue wasn't that widespread? Let us know in the comments either way.